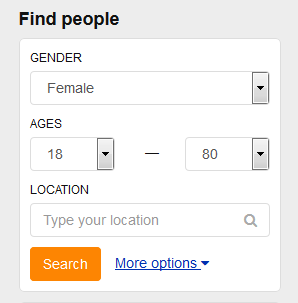 The purpose of the field editor is to let you manage profile questions and search parameters. Sections are used to separate the groups of fields. 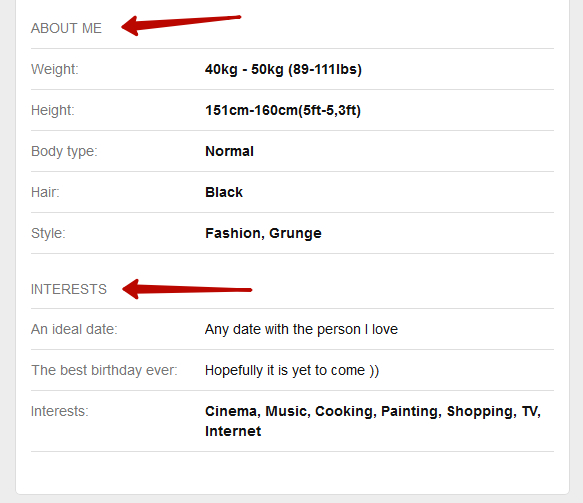 For example, we created two sample sections, About me and Interests. 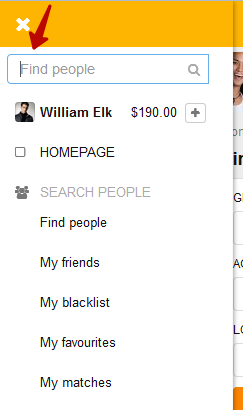 You can add more sections by clicking Add new section. Keyword: system parameter of how the system will define the section inside the script. Name: this is how the section will be presented to the users. Click Add new field to add a new field to the currently selected section. Keyword: generated by the system each time you add a new field. Section: pre-selected from the previous page. Field type: manages how the field will look like. Name: how the field will be displayed to the users. After creating a new field, click Edit to manage additional parameters. Here you can edit addtional settings like field output type, “…” option and the options themselves. Select the desired field output type. The available types depend upon the main field type. Toggle Add “…” option if you wish to have a blank option for this field. Click Add new option to add a new answer variant that will be displayed within the field. Note 2: We recommend limiting the number of fields (or profile questions) in a section to 10-15 fields, and the number of options in a field to a maximum of 18-20 options. 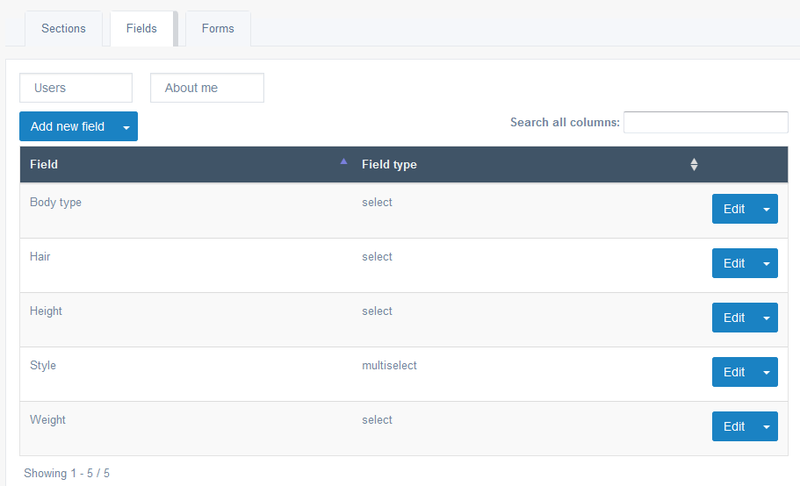 You can add the fields you created to the search forms of the website where they will function as filters. 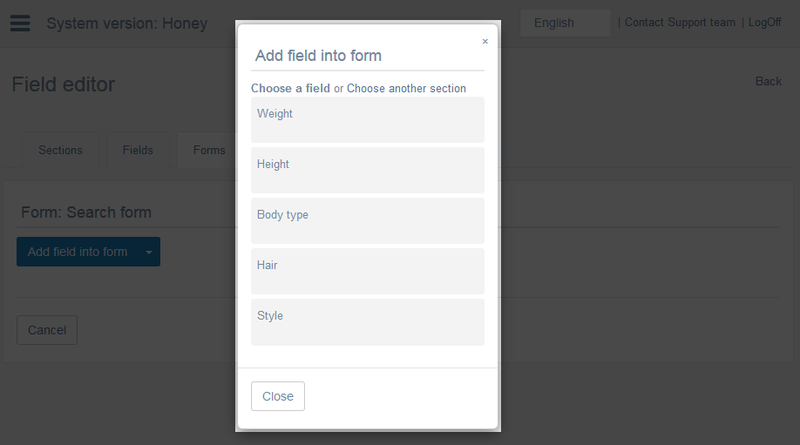 Click Form fields to go to the editing. 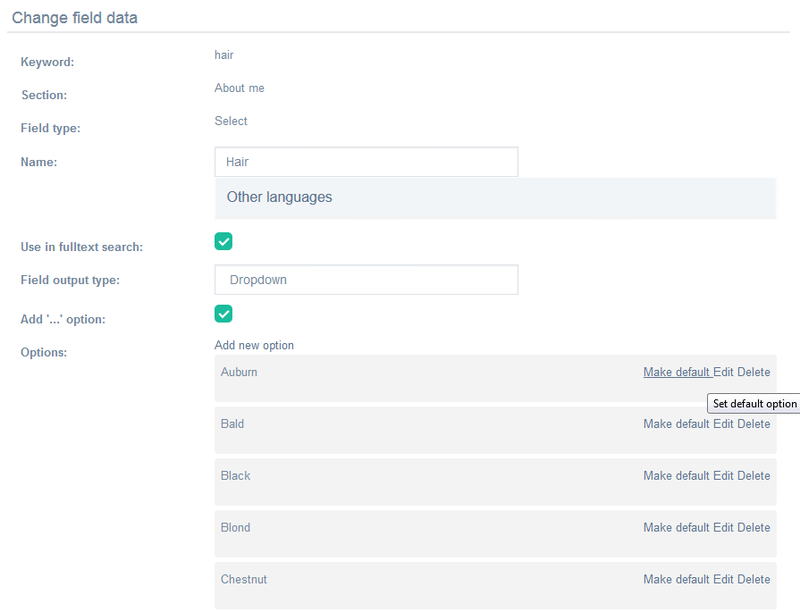 Let’s take a look at the standard search form. Click Add field into form and choose the section you want to select from. Then choose a field from this section. 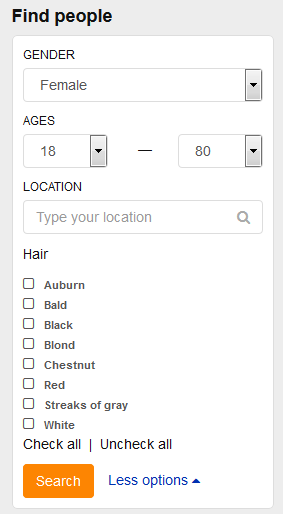 Let’s add Hair field to the search form and see what happens. Click Less options to fold it back to the previous state. Note 3: Make sure to complete creating new fields and adding them to the profile and to the search form before launching your website. 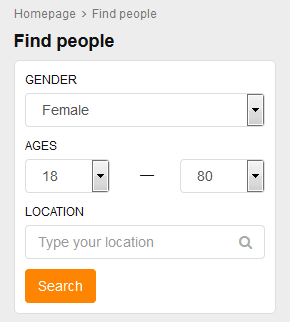 In order for the search filters to return results, people need to fill in this information in their profile first, so it is best to have it all covered before launch.